More colour, to let you create new products with a stunningly intense black. 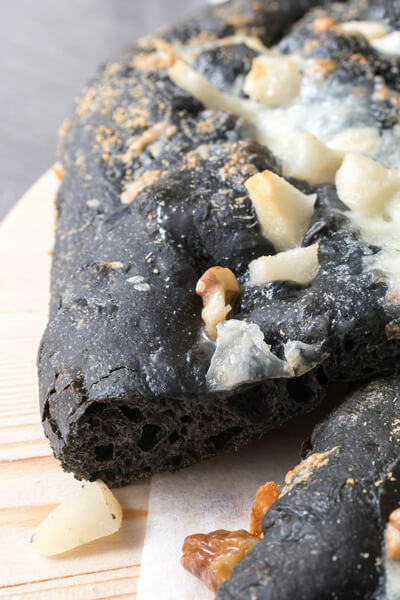 Prepare black pizzas and focaccia and create a unique play of colour with the ingredients. 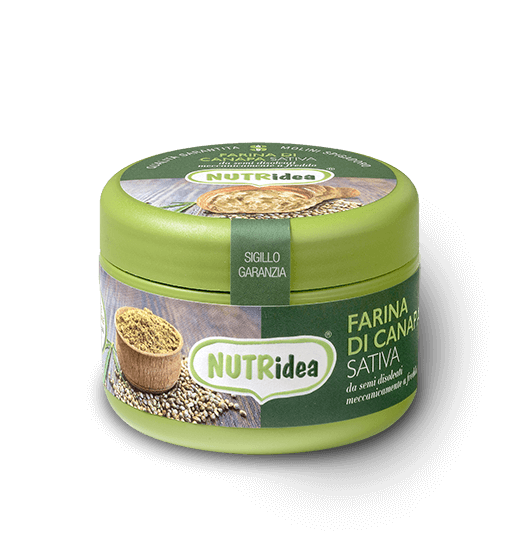 This is the winning recipe that Molini Spigadoro applies to its development strategy. The priority today in a highly competitive market is to innovate, in line with consumer requirements, in the light of social changes and new lifestyles which profoundly affect our eating habits. This is not only a great challenge for the Italian food industry, but also an exciting opportunity. 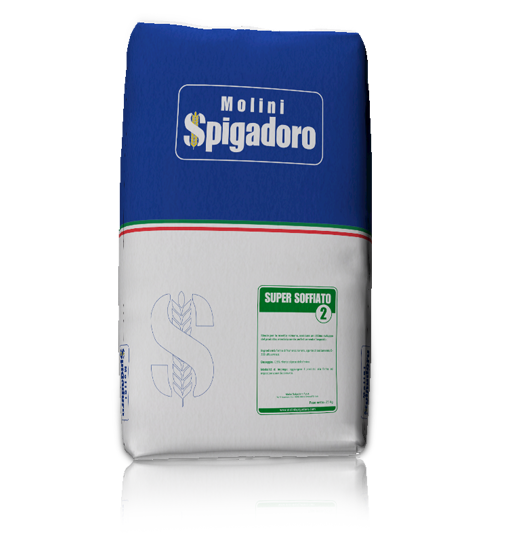 Thus, Molini Spigadoro has endeavoured to provide increasingly knowledgeable and demanding consumers with something brand new: vegetable charcoal for oven-baked goods and bread substitutes (including fine bakery products). How to use it: as a colourant for food use (E153), it is authorised by Regulation (EC) No 1333/2008. The use in food preparation is governed by Annex II, part E of the same regulation. Vegetable charcoal can be added as needed to fine bakery wares (7.2). 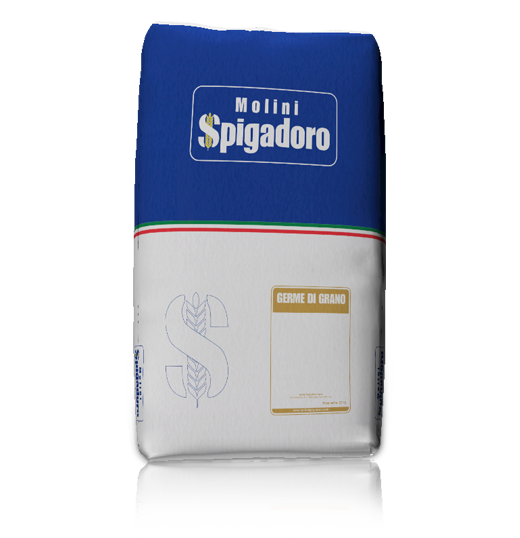 We recommend adding between 10 to 15 g per kg of flour. Warning: concentrated product, do not ingest as it is. For larger formats, get in touch via the form at the bottom of the page. 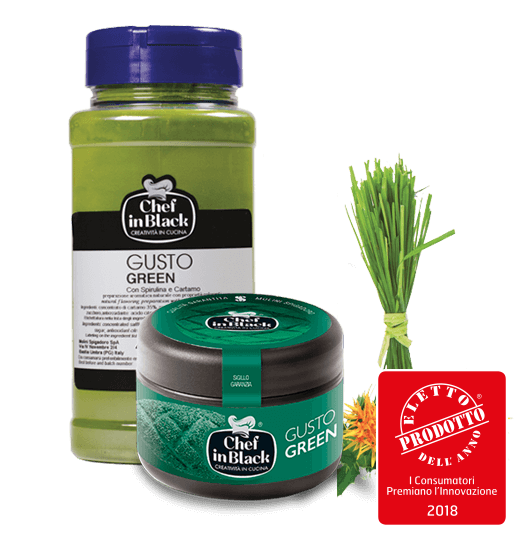 Vegetable charcoal is a natural substance, obtained from fine wood, which gives the typical dark hue to bread substitutes and pasta, as well as foodstuffs, such as pasta, breadsticks and toasted bread slices. Vegetable charcoal is used in integrators to combat bloating after meal-times. Pizza, focaccia, croissant, let your imagination run wild in the kitchen and amaze your guests without changing the flavour of your dishes. There is a brand new solution for oven-baked products. 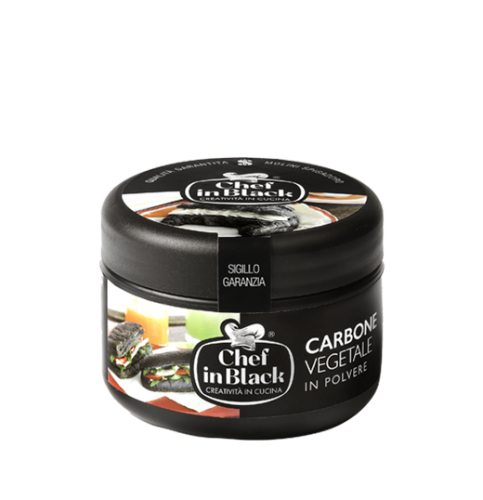 The characteristic processing allows a very fine, odourless and tasteless powder to be obtained that gives oven-baked products a “totally black” look. 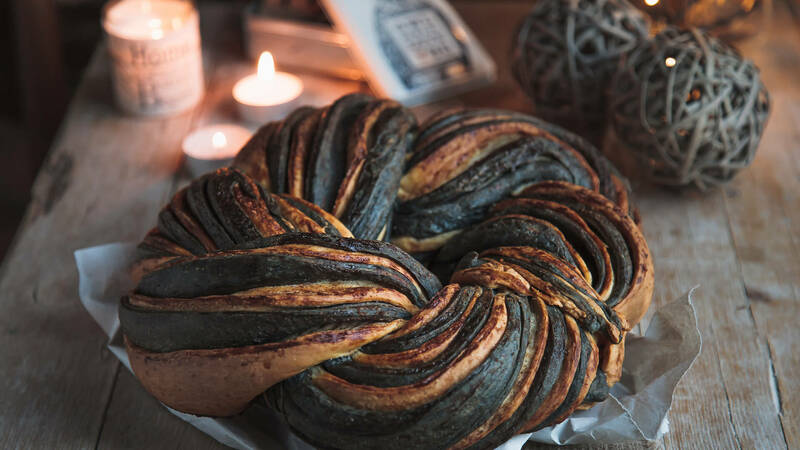 Mixes, to which it is added in small quantities (about 10-15 g is recommended per kg of flour), acquire a strong black colour which enhances the colours of the other ingredients. 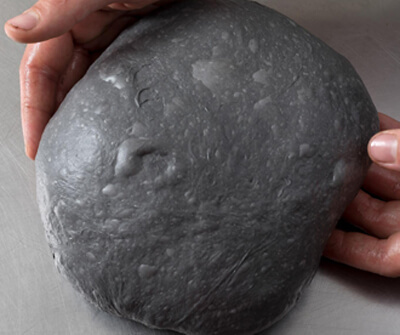 Mix the flour with the vegetable charcoal before making your usual dough. 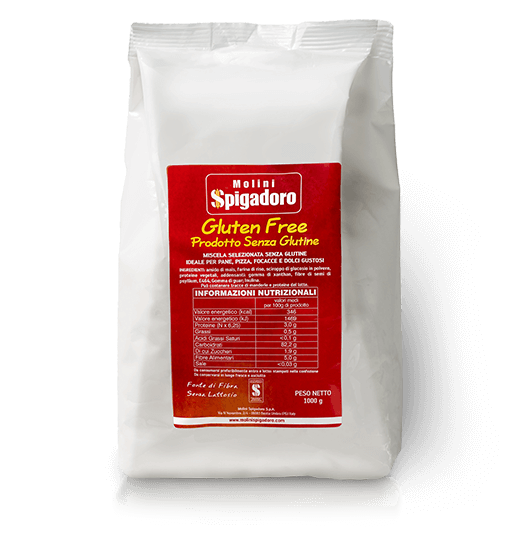 10-15 g per kg of flour is recommended (any flour, including gluten-free). Because it is an extremely fine powder (like talcum powder) and totally black, it must be used and handled carefully to avoid staining your workshop and kitchen black. 075 80.09.216 – 075 80.09.236 – 075 80.09.205. Our Carbon Line is at your complete disposal.